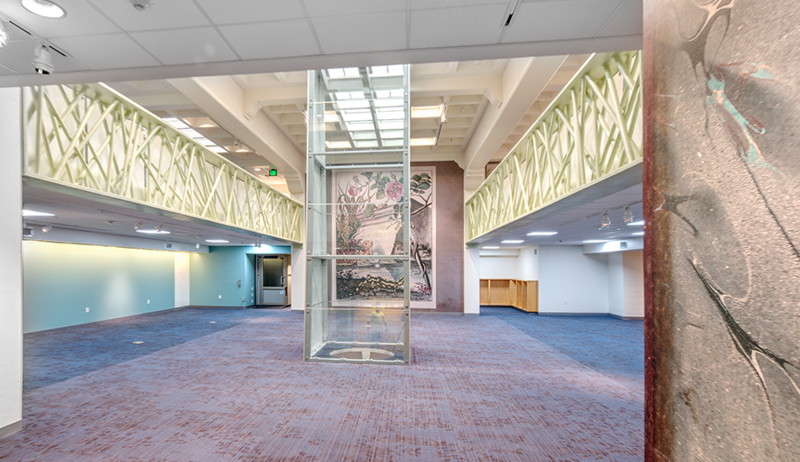 Soltek completed a CM at Risk GMP Renovation of the Public Gallery and Library Conversion for the San Diego Natural History Museum June of 2016. This new, permanent exhibition revolves around the history—and the future—of citizen science, the idea upon which the Museum was founded in 1874. Rare books, art, photographs, and historical documents from the Research Library’s 56,000-volume collection will be displayed alongside plant and animal specimens and brought to life through touchable objects and multimedia experiences that allow deeper access to the works on display. 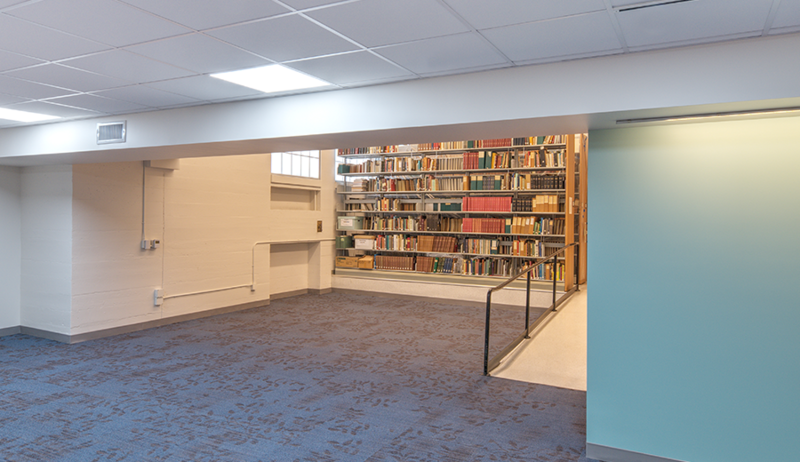 In order to showcase the Museums extensive rare artifact collections, Soltek had to demo the existing library area, adjacent offices and bathrooms and build a new Special Collections Gallery, Reading, Research and Documents Area approximately 5,600 square feet. The new gallery also includes a new 10” concrete mezzanine deck supported by an exposed structural steel truss, a new custom aluminum pendulum enclosure, a new ADA man lift, and a new toilet area. The new HVAC, Fire Alarm and Fire Sprinkler Systems were provided through Soltek as a Design Build Service. 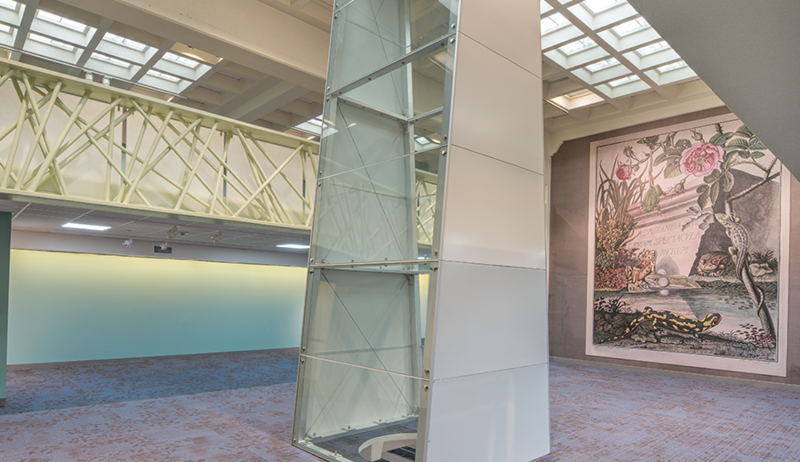 The project was being performed in an occupied working Museum, open 363 days a year, with heavy tourist traffic as well as occupied office spaces surrounding the construction area. 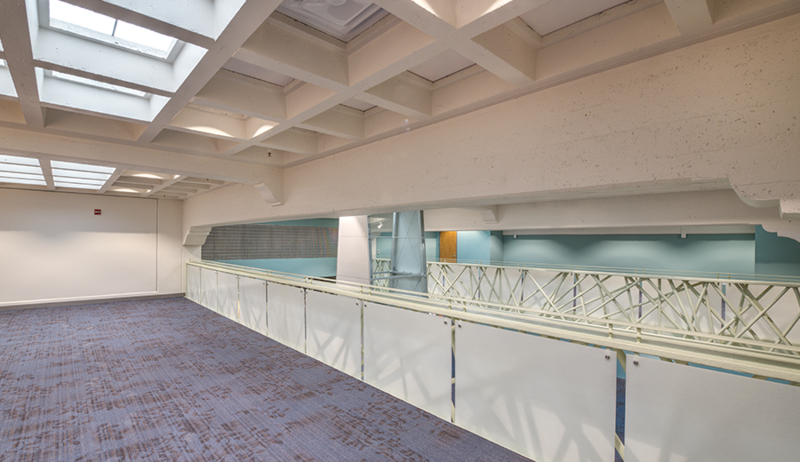 Due to the occupancy on the floor below and the working pendulum, the existing pendulum enclosure was protected in place during construction and was only demoed once the carpet was ready to be installed. New theater lighting and HVAC Systems were to meet Class AA Museum Space as defined by ASHRAE to help protect the integrity of the Museums featured objects.